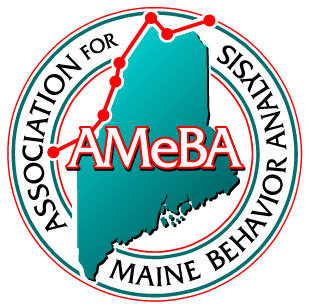 The Association for Maine Behavior Analysis (AMeBA) uses the CEU Helper app to track and document participant attendance at all of its Continuing Education (CE) events. Assistance will be available at all events for participants who require support to use this app. A backup system will be available in the event of technical issues preventing access to CEU Helper. The backup system will only be employed in the case of technical barriers and will not be allowed as a standard means of documenting conference attendance or for the issuing of CEU certificates to participants at AMeBA CE events. Participants must sign in within 10 minutes of the start of each event, and may not sign out more than 10 minutes prior to the end of each event in order to obtain credit for attendance at the event. In the event of a technical issue with CEU Helper, participants must find an AMeBA Executive Committee member and manually sign in and out of each session. Any participant complaints regarding the CE event(s) and/or related requirements must be directed to AMeBA in writing by emailing president@mainebehavioranalysis.org. If a complaint regarding a CE event cannot be resolved with AMeBA, participants may file a formal complaint with the BACB® only after attempts have been made to resolve the complaint directly with AMeBA.